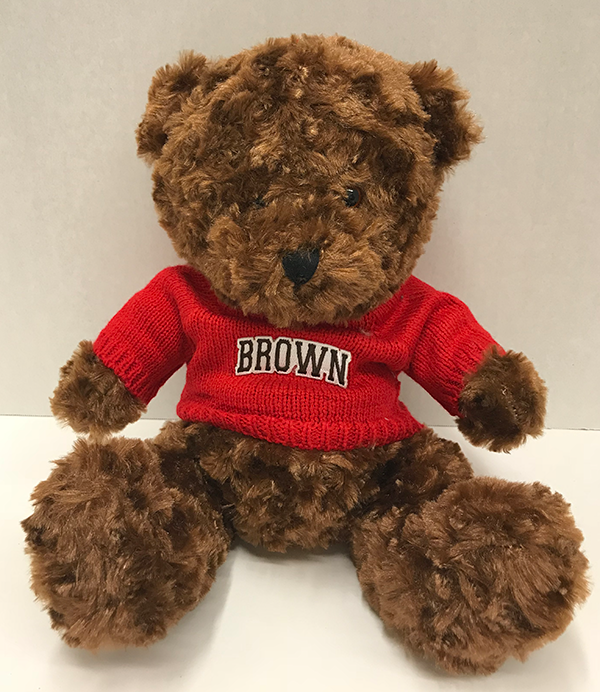 8" plush bear with Brown hoodie. Available in 4 colors: red, maroon, yellow, and purple. 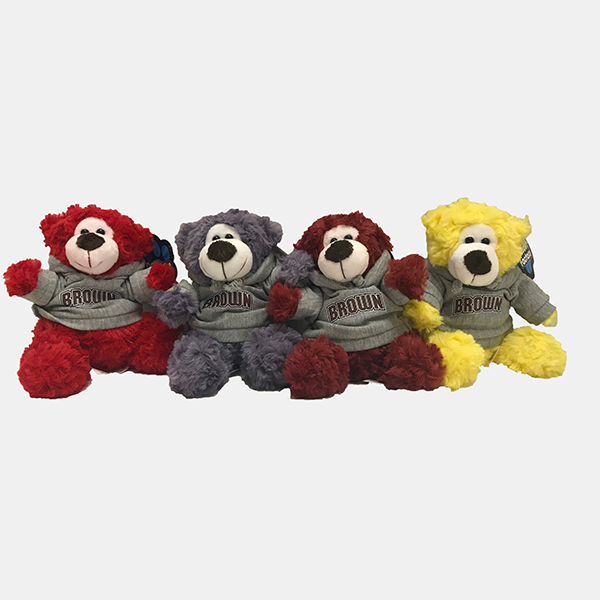 Please select option for Color Me Bear - $12.99. 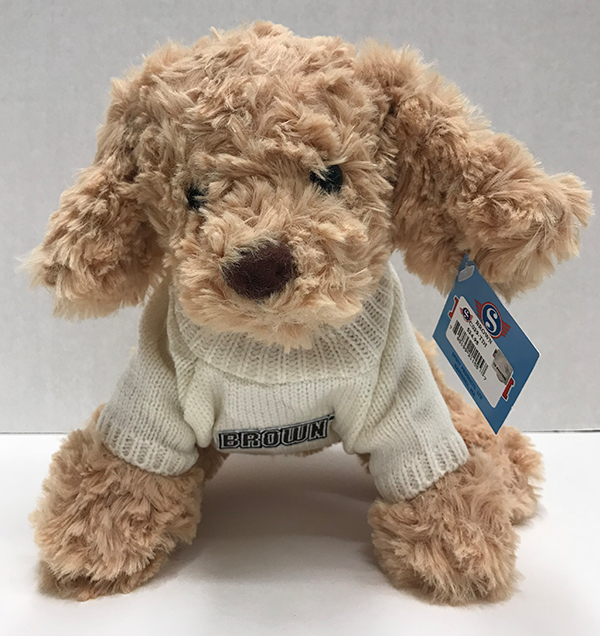 Plush puppy with ivory colored sweater with 'Brown' imprinted on chest. 100% polyester. 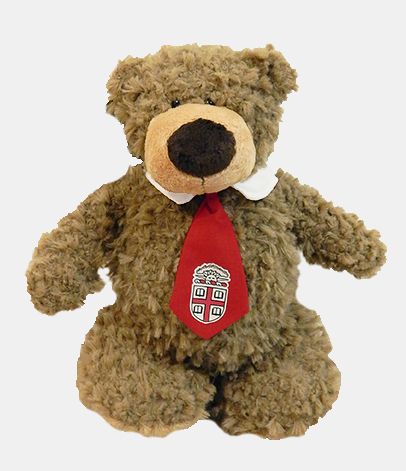 Plush brown bear with red sweater. Approx. 10" tall. 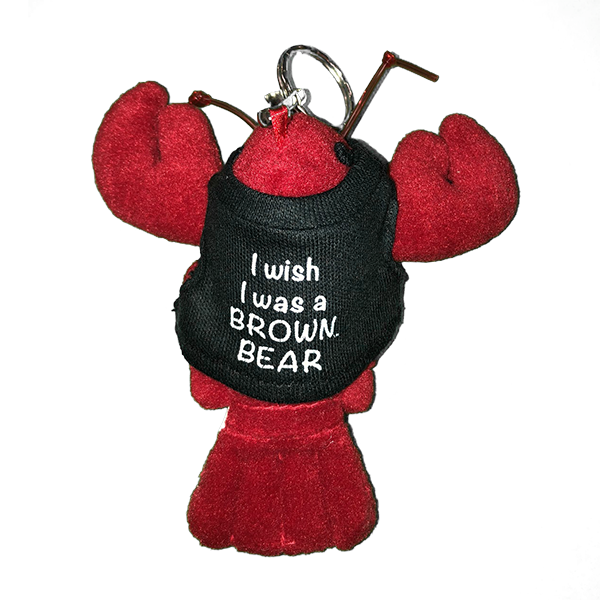 Key ring with light brown teddy bear wearing a cardinal tee with 'BROWN' imprinted in white. 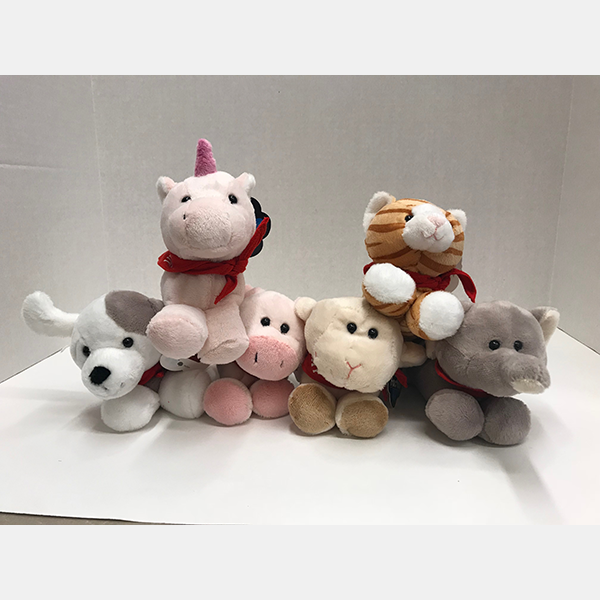 6.5" plush animals with red bandana. Unicorn, puppy, tabby cat, lamb, elephant, and pig. 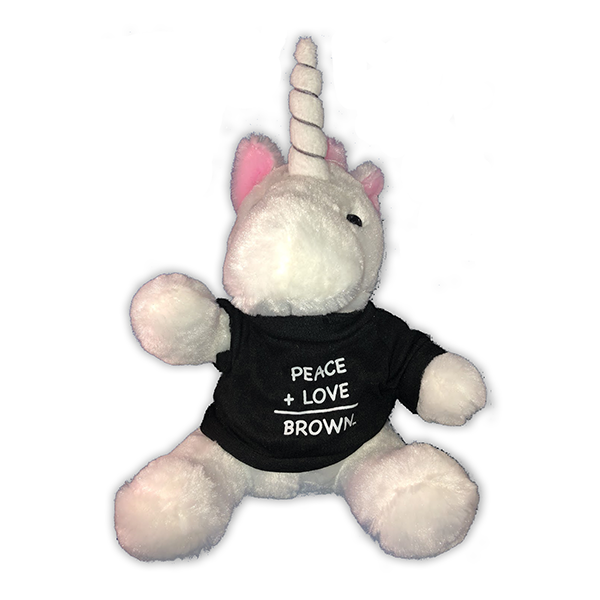 Please select option for Short Stack Plush - $12.99. 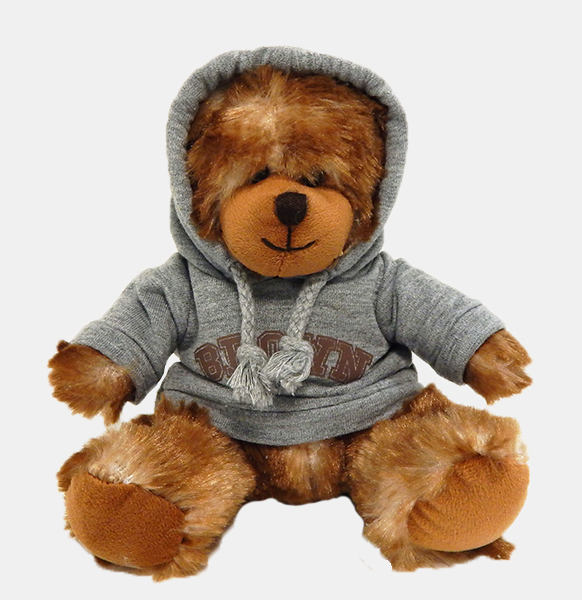 Soft, reddish-brown teddy bear wearing the classic grey, drawstring-hooded sweatshirt with 'BROWN' imprinted in brown. Lt. Brown teddy bear with tan snout and paw pads and brown nose. White velcro dickey collar with red tie imprinted with cardinal and white Crest.